iPod 1st Gen: Compatible through the 3.5 headphone jack for audio but no control or charging. iPod 2nd Gen: Compatible through the 3.5 headphone jack for audio but no control or charging. iPod 3rd Gen (Black & White Screen): Compatible through the 3.5 headphone jack for audio but no control or charging. iPod 3rd Gen (Color/Photo Screen): Compatible through the 3.5 headphone jack for audio but no control or charging. Mini 1st Gen: Compatible through the 3.5 headphone jack for audio but no control or charging. Mini 2nd Gen: Compatible through the 3.5 headphone jack for audio but no control or charging. Shuffle 1st Gen: Compatible through the 3.5 headphone jack for audio but no control or charging. Shuffle 2nd Gen: Compatible through the 3.5 headphone jack for audio but no control or charging. Shuffle 3rd Gen: Compatible through the 3.5 headphone jack for audio but no control or charging. Shuffle 4th Gen: Compatible through the 3.5 headphone jack for audio but no control or charging. I got the Enfig system for my 2001 Audi TT 225. I first tried a cheaper product made in China and It was garbage. 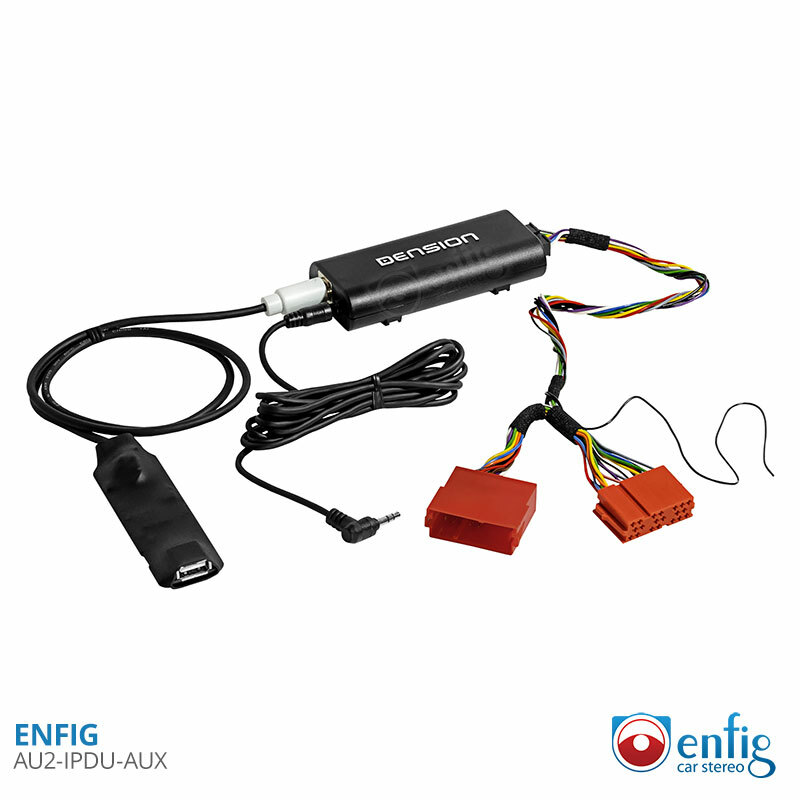 I could tell the Enfig AU2-IPDU-AUX was quality right out of the box. It was easy to install and it sounds great with my IPod as well as my IPhone 5S. No weird humming or static, just good clean sound even at high volumes.